Upgrade your home. A new addition is the best way to increase living space and property value. Does your home feel just a house? Maybe it has good bones but lacks the comfort and amenities you dream of. Are you expecting additions to your family and need extra space to allow them to grow? Do you finally want that awesome personalized entertainment room? Is it time for an office that is designed to be that peaceful comfortable workplace, specified to make you your most productive? If any of these sound like you, Starcom Design/Build is here to help. We make home additions, not just house additions. Even small changes will require a quality home addition contractor that understands your needs and possesses the skills to design and complete the process exactly to your tastes and specifications, while staying within your budget. If you're interested in an addition for your home, call the experts at Starcom Design/Build today. We can help you through all aspects of the design and installation process, giving you the ideal solution for your home. 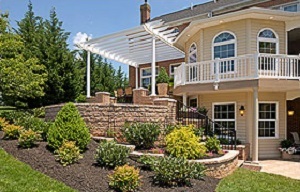 We offer free estimates on all our work in Silver Spring, Columbia, Rockville and nearby. We are committed to client satisfaction. We are committed to your home. Let us show you why Starcom Design/Build is the best addition contractor choice in Columbia, Silver Spring, Rockville, Laurel, Annapolis, Glen Burnie, Parkville, Ellicott City, Gaithersburg, Catonsville and the surrounding areas. Call us today to get a free estimate on all our design and construction services. We will work with you every step of the way to give you exactly what you want and need in your home.